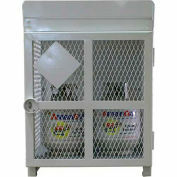 LPG gas bottles and cylinders should be protected from theft and unauthorized access. 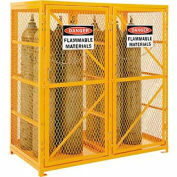 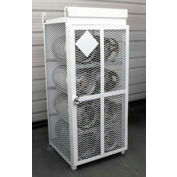 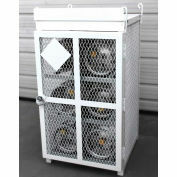 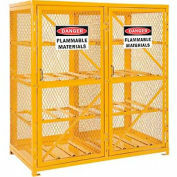 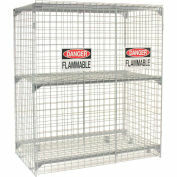 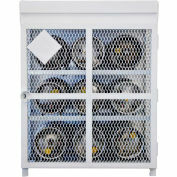 These heavy duty construction Gas Cylinder Cages are secure, durable and are easy to use. 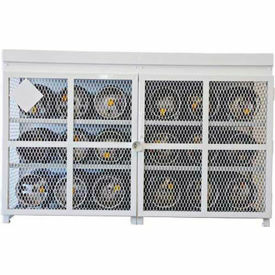 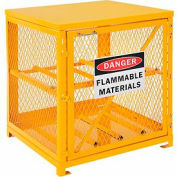 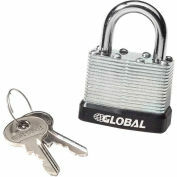 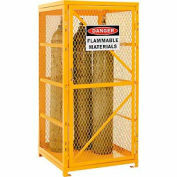 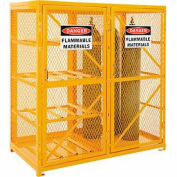 Gas Cages have a security lock, adjustable leg levelers, and welded loading hooks. 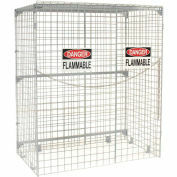 Heavy duty mesh allows visibility and provides product security.